Unlike the dollar sign ($), the cent symbol doesn’t have a place in our keyboards. 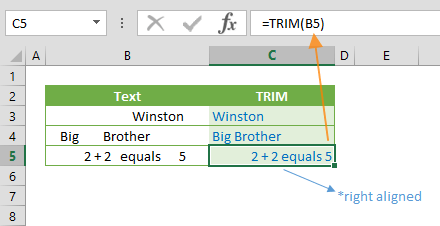 In this article, we’re going to show you how to insert a this symbol in Excel, and walk you through 5 different methods to do this. 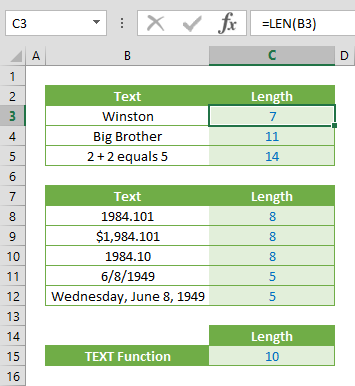 Excel (as well as other Office tools) has a Symbol feature where you can find all supported characters in a single place. You can find the Symbol dialog by following INSERT > Symbols > Symbol path in the Ribbon. 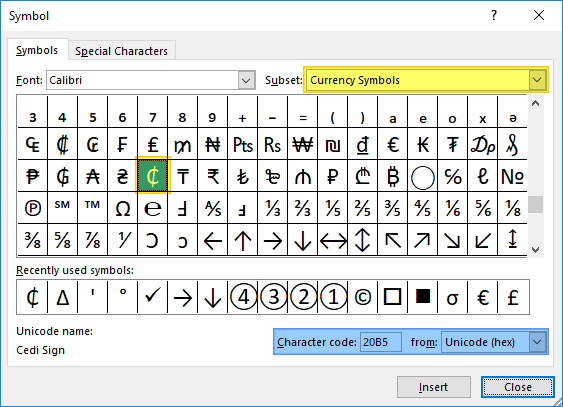 In the Symbol dialog, select Currency Symbols from the Subset dropdown, and scroll down to find the cent symbol character. Select the symbol, and click the Insert button. Alternatively, you can use the character code. 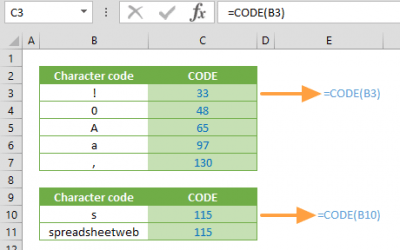 First, select Unicode (hex) in from dropdown, and then type in 20B5 into the Character code box. The CHAR function basically converts numeric codes into their ANSI character equivalent. Thus, we can use the code 162 to generate a cent symbol by a formula. 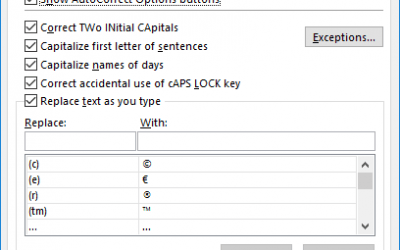 AutoCorrect is an essential Excel feature that automatically corrects typos. AutoCorrect feature can also help insert symbols by typing in the keyboard friendly characters for the corresponding symbol. For example, you can type (c) to get ©. You can also add a new rule for the cent symbol. Open Options window from File tab in the Ribbon. We chose the string “cent” as a friendly name in this example. 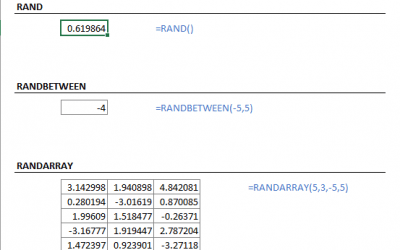 From now on, whenever we type “cent”, Excel inserts a cent symbol. You can enter special characters by typing in their shortcut code. All you need to do is to hold down the Alt button while typing the code. To insert a cent symbol while holding the Alt key, enter 0162.